This is an aged coffee from the west coast of India. After harvesting, the coffee is stored in open-walled, wooden warehouses where the monsoon rains are allowed to “wash” over the coffee. Water doesn’t actually come into contact with the aging beans, but the flavor is changed by the heat and humidity during the monsooning season. This aging process gives the coffee a very spicy, musty aroma, similar to an Indonesian Sumatra. 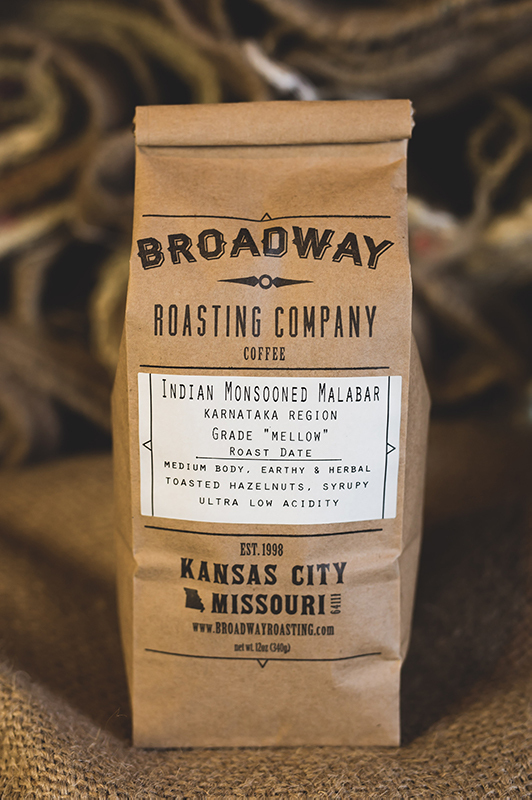 Low acid coffee, a very syrupy body, with a spicy-buttery aroma.